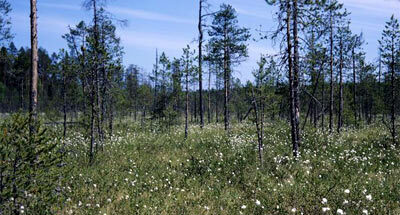 Zapovednik Kivach is situated in the southern part of Republic Karelia. It was established in 1931. Its area is 10.9 thousand ha. The Zapovednik is located northwest of Lake Onezhskoye between Lake Eundozero in the north and Lake Pertozero in the south. The topography features selga protrusions of the crystalline shield combined with hilly-moraine and flat water-glacier plains. 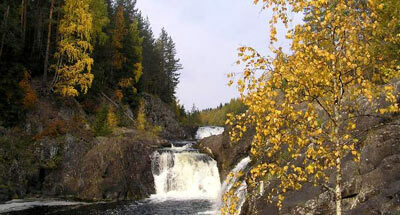 The Zapovednik is named after the waterfall on the Suna River, 10-7 m high. It ranks the second among the plain waterfalls in Europe after the Rhine waterfall. 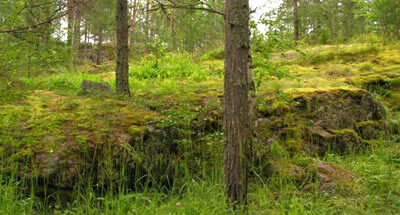 The plant cover is middle-taiga forests, pine forests prevailing on bedrock outcrops and pine-spruce forests on a hilly moraine and spruce forests on water-glacier deposits. There are numerous mires. The mammal dwellers are the brown bear, wolf, red fox, badger, marten, European polecat, otter. In the avian fauna waterbirds are the most abundant, including loons, Anseriformes, waders, cranes and gulls.